There are a variety of surveillance cameras such as bullet, domed and pan, tilt and zoom cameras. 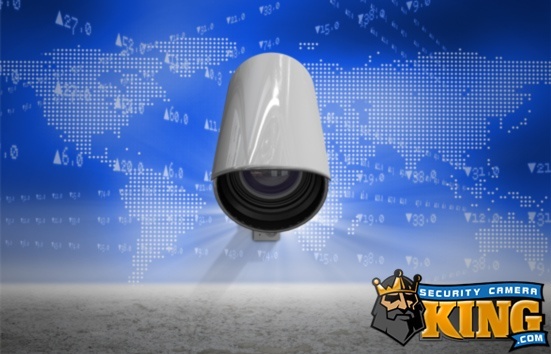 Most homeowners choose bullet outdoor security cameras. That’s because you want your cameras to be seen by anyone passing by your home. This can reduce your chance of falling victim to a burglary. Domed cameras are often seen at shopping malls, financial institutions and schools. These cameras have a smoke screen that makes it difficult to detect the angle the camera is facing. The smoke screen does not reduce the visibility of the images. Pan, tilt and zoom cameras are often used in parking garages and lots. The camera operator can move the camera to the desired angle and zoom in on a subject. This type of camera can make out licensed plate numbers or facial feature of a person. These cameras are the most expensive of all surveillance cameras. Surveillance camera’s picture quality is determined by the illumination factor or LUX. The lower the LUX number, the less light it needs to project a clear image. A surveillance camera’s resolution determines how many horizontal lines are needed to project a clear image. The higher the resolution, the better quality image your camera will produce. The line of sight is an important consideration when choosing an outdoor surveillance camera. The line of sight is the distance between the receiver and the transmitter. Objects such as walls and household items can affect the transmission. If you are having interference problems, try moving the receiver and transmitter to different locations. There are some surveillance cameras with audio capabilities. Choose this type of camera if you want to hear sound while the camera is recording. These kind of cameras are helpful in entryways where you want to communicate with whoever is at the door. Infrared cameras do an outstanding job of recording in low-light situations. Some cameras will switch from colored recordings to black and white images. IP cameras are connected to a router with Internet capabilities. These types of cameras can be monitored remotely from any location in the world with an Internet connection. Many people love the new wireless surveillance cameras because they are easy to install. However, a wired surveillance camera will actually give you a clearer image. Wired cameras are not affected by interference like wireless cameras are. The drawbacks to wired cameras is the fact that cable must be ran from camera to camera throughout the outside of your home. However, you can have your cameras mounted in between the roof and the wall, and you can run your cable through your attic. You can hire this done by a qualified home security retail center. Experienced installers will make sure your wires are secure without damaging your home. Wireless cameras are easy to set up and they require no wires. Choose the system that best suits your needs. If you install a home security system outside your home, you will reduce your risks of burglary. Most burglars are looking for homes with no security and easy targets. If a burglar sees your cameras, it is not likely that they will take a chance. It is too easy for the average burglar to move to another home without cameras. Meet with all your family members to determine what type of security system you need. You can contact a home security retail store for a security audit. Experienced professionals will walk with you through your home and point out weak areas. When it comes to you and your family’s safety, it is worth making changes. A security audit can be completed in just a few hours. Some law enforcement agencies around the country will also perform a security audit in your home. Contact your local law enforcement agency for more details. They also frequently give seminars to educate citizens about crime and safety issues. Make sure every member of your family knows the best escape route from their bedroom. If there is a fire during the night, everyone should know where to meet outside. Make sure your fire sensors are working properly. Replace the batteries every six months. Most fire sensors will make a chirping sound when the battery is low. Carbon dioxide detectors should also be installed in your home. If you have a wood stove, fireplace or gas appliances, you could become a victim of carbon monoxide poisoning. The fumes have no odor or taste but they are deadly. Don’t take changes with your family’s safety. Medical emergency alarms are a nice addition to any home. These alarms can be connected to your local fire station. Paramedics will be dispatched to your home if an alarm from your home goes off. Find out if your local fire department has this capability. If you want you security alarm connected to your local security alarm company or police department, you should contact them. Some police departments across the nation allow you to connect your security alarm straight to their department. This can save you valuable time during an emergency. However, be aware that there are fines for false alarms. Take steps to prevent false alarms in your home. False alarms are often cause by kids, pets or other family members. Make sure everyone in your home knows how to work the security system. It is important that the police or security alarm company promptly responds to your alarm. Some security alarm companies have systems that will send you a text message if your alarm goes off. You can choose how you want to be contact when you signup. Technology advances has also made it possible to monitor your alarm system through your smartphone. Contact a security alarm company in your area to see if this technology is available to you. Keep in mind that you may not be able to monitor your home at all times. A security alarm company will call or text you to confirm your password. Make sure that family members do not give out your password to their friends. Home security alarms are available in wired or wireless versions. If you don’t own your home, choose a wireless version that you can take with you when you move. 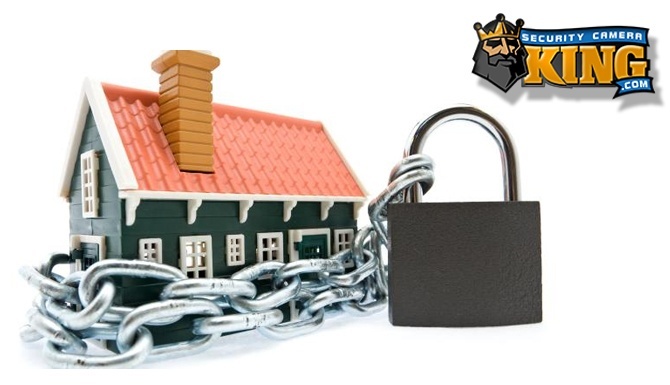 Investing in your own home security equipment will save you money in the long run. Browse the large selection of equipment at online home security stores. This can help you decide what kind of equipment you want to buy. If you decide to use your local security alarm company, make sure you understand all charges. If you rent, you may need to get permission from your landlord before installing alarm equipment. Home security systems can be operated with a keypad that you carry on your keychain. This makes it easy for you to arm and disarm your system. You should turn your system on even when everyone is at home. Let your kids get in the habit of arming the system when they leave. This will help them remember how important home security is to the whole family. Consider installing security devices on your doors and windows. If you are renting your equipment from your local alarm company, these are usually included in the basic security package. 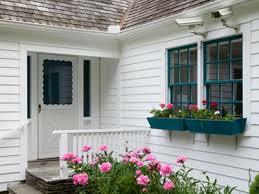 The doors and windows are the most common point of entry for burglars. Develop a security plan that fits the whole family’s needs. If you have teenagers who go in and out of the doors, make sure they set the alarm each time. You never know when you will become a victim of a home burglary. Although most burglars prefer to rob an empty home, you can’t be sure that you won’t be targeted even if you are at home. Consider installing an intercom system at your front door. Many people know not to open the door to strangers, but an intercom will let you speak with whoever is at the door. The last thing you want is for a potential burglar to think the home is empty because you didn’t answer the door. Most burglars don’t want to cause you any harm, but if you surprise them, it can put you and your family at risk. You should meet with your family members on a regular basis to discuss your security plan. Talk about what is working and what is not. Make changes that suit your family and your home security plan. Neighborhood crime watches have effectively reduced crime in specific neighborhoods. The power of getting to know your neighbors can make a big difference in the security of your community. Consider starting your own crime watch program, if there isn’t one in your area. Contact your local police department for information on how to get started. Criminals will avoid neighborhoods with crime watch signs. These signs send a message to the criminal that suspicious activity will be reported to the local police. You and your neighbors know when a suspicious vehicle enters the neighborhood. Even if it is a false alarm, you should diligently contact the police. Send out flyers and talk to your neighbors about the importance of crime watches. Criminals will often watch a home for activity before they decide to burglarize the home. Sometimes they pretend to be contractors in the neighborhood. They will even knock on doors to see who is at home in the neighborhood. Police and other law enforcement agencies have gathered helpful information from criminals who have gotten caught. The police interview them and sometimes they tell the police their tips and tricks. You can never be too careful when it comes to the safety of your family and home. The spring and summer months often bring a rise in home burglaries. That’s because criminals know that this is the time that families go on vacation and leave their homes empty. Criminals are creatures of opportunity. They look for the opportunity to vandalize a home when no one is there. Consider leaving a house key with your closest neighbor before you leave for vacation. Ask your neighbor to check on your home each day. Make your home look lived in by setting timers that turn your lights on and off at various times of the day. Have your neighbor park one of their cars in your driveway while you’re gone. Social media is a great way to stay in touch with family and friends, but don’t post your vacation photos until you come home. You never know if a friend of a friend is a potential burglar waiting for opportunity. Never leave a spare key to your home outside. This is a trick that has long been discovered by the burglars. Make sure all doors and windows are locked before you leave. The garage should be secured with a deadbolt installed on the inside of the garage door. You don’t want your automatic garage door to accidentally lift up while you are out of town. This still happens frequently today with the old-style garage door openers. Home security is made up of a variety of security methods that come together to reduce your risks of being a victim of home invasion. If your home is burglarized, it is a traumatic event. You not only lost some of your valuables but it is also a violation of your privacy.